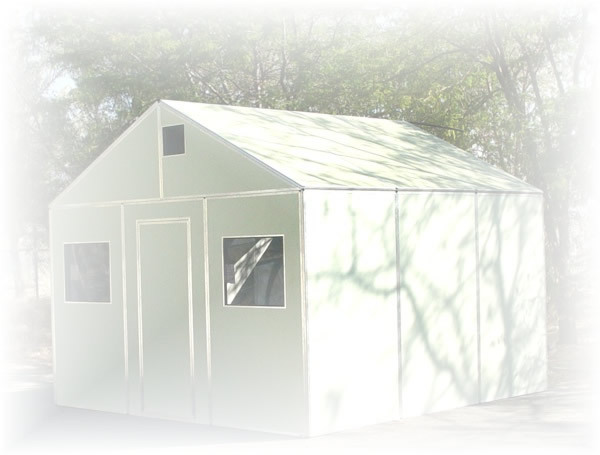 A standard 12' x 12' shelter can be assembled in less than 2 hours with minimal tools. It is constructed of fireproof material, weighs 400 pounds (180 Kg), and stores in a space of 2' x 4' x 7' (.61m x 1.2m x 2.1m). The shelters use a UV and weather-resistant finish and have a 20 year life. They use a patent pending panel interlock system that allows them to be assembled quickly and with ease.